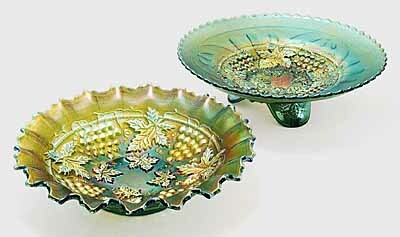 These green bowls show two of the many Northwood variations in their bowl. Toward the front is a typical pie crust edged bowl. The other is one in which Northwood used their Meander pattern for the base of the Grape and Cable design. These sold at a 1995 auction for $65 and $100.